Ten years have passed since Marvel began its big-screen takeover. With the debut of Iron Man in 2008, the studio kicked off a cinematic universe that would forever change the standard of movie franchises. The Marvel Cinematic Universe now includes nearly 20 films, with no signs of slowing down. Besides giving comic book fans a multitude of opportunities to see their favorite heroes and villains adapted to the big screen, the MCU has introduced a whole universe. As Black Panther continues to crush box office records and create new Marvel fans, it also marks the beginning of the back half of Marvel’s “Phase Three.” Next up is Avengers: Infinity War, and a plot that has been building since the original Avengers film in 2012. As Marvel Studios continues to celebrate the ten year anniversary of the MCU, let’s look back at the game-changing moments from the past decade. Rather than try to rank them, here are some of the top moments in chronological order. After four years of solo movies, Marvel’s greatest came together in 2012 for The Avengers. 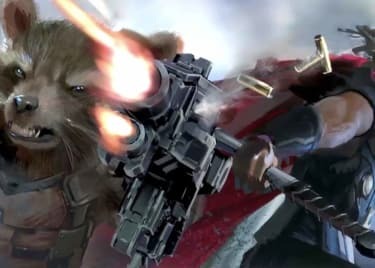 Marvel delivered a groundbreaking team-up. After Nick Fury puts forth the ‘Avengers Initiative,’ the heroes are called together to assist in dealing with Loki and the Tesseract. The group, comprised of Tony Stark, Bruce Banner, Steve Rogers, Thor, Natasha Romanoff, and Clint Barton, doesn’t get off on the right foot, as members are somewhat divided in their approach to Loki’s threat. But when Loki opens a wormhole for the Chitauri to invade New York, they set their differences aside. 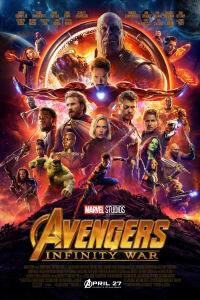 The scene where the Avengers are fighting side by side in the city solidifies the notion that they are a unified force. As thrilling as it was to see the Avengers come together, the most intriguing moment of the film was the mid-credits scene. After the failed Chitauri attack on Earth, the Other is seen speaking to an mysterious character, who turns and smiles. That’s the reveal of Thanos, one of the most powerful being in the Marvel universe. Introducing Thanos was the perfect way to close out first phase and kickoff Phase Two. 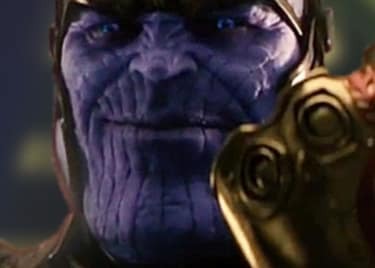 Thanos and his looming threat kicked an interweaving storyline into gear – one that continues to play out in the MCU. Back in Captain America: The First Avenger, Steve Rogers had no reason to believe that his best friend Bucky Barnes survived a seeming fall to his death. Years later, Cap learns that Bucky lived. After being captured, experimented on, and brainwashed by Hydra, Bucky reveals himself as the Winter Soldier, a ferocious political assassin. At the climax of the film, Captain America seems to have saved the day but the Winter Soldier still stands in his way. Instead of battling it out, Steve Rogers puts down his shield and concedes to his old friend. He tells Bucky that he’s with him to the end of the line. A little bit of the true Bucky wakes up. If fans didn’t already know what kind of man Steve Rogers is, this moment made it clear. The key moment will also lead to larger involvement with Bucky in the future. The MCU has created a fair share of heartbreaking moments, but nothing compares to Groot’s sacrifice in Guardians of the Galaxy. That’s especially considering recent clarifications by director James Gunn. When the group fails to take out Ronan and is hurtling towards Xandar in a wrecked ship with little chance for survival, Groot saves his friends. He uses his branches to form a protective barrier around the Guardians… which kills him, in turn. As tragic as Groot’s death was, the idea worked. He saved his friends. Fans were elated to see a new baby Groot growing at the end of the film, and James Gunn recently confirmed on Twitter that the youngster is actually Groot’s son; the original Groot is indeed gone. After Ultron uses vibranium to lift the city of Sokovia in the hopes of crashing it to the ground, causing global extinction, the city becomes the site of another epic battle for the Avengers. That seems similar to the first Avengers film, but this time the stakes are much higher. With new members including Vision, Quicksilver, and Scarlett Witch, the Avengers unleash their full power to destroy Ultron and save the citizens of Sokovia, but not without a cost. One of the best moments in the fight takes place when the Avengers fight Ultron’s army in the remnants of a building. Each hero showcases their powers in an amazing overhead shot that pivots to a 360 slow motion camera movement. Even though Civil War focuses on the conflict between Steve Rogers and Tony Stark, the film feels more like an Avengers installment due to the sheer number of characters involved. 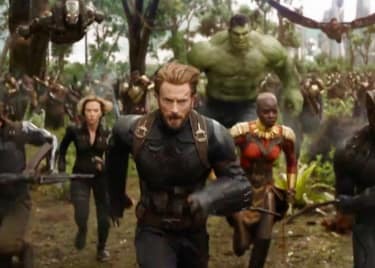 As the two sides are split on the Sokovia Accords, which seek to constrain superhero activity after the battle mentioned above, Rogers and Stark each enlist a team. The tension boils out into the most monumental battle the MCU has seen to date. Seeing the group of heroes go toe-to-toe was even more memorable than most action sequences thanks to the first appearance by Marvel’s new version of Spider-Man. The young Spidey injected humor into the otherwise serious ordeal by stealing Cap’s shield and covering his “first battle” anxiety by tossing out his own trademark banter. Doctor Strange may be the most visually stunning film in the MCU. It introduces mirror dimensions, multiverses, and, most notably, time travel. The film’s mind-bending events forever changed the range of possibilities in the MCU. A particularly memorable moment comes towards the end when Strange enters the Dark Dimension to strike a deal with Dormammu. This results in a seemingly endless time loop with Dormammu killing Strange in a multitude of ways. With no end in sight, Dormammu finally gives in and orders Strange to break the loop. For much of Peter Quill’s adulthood he was led to believe that Yondu stole his chance at a better life. After Quill met his father and discovered Ego’s true intentions, Quill had a sense of clarity. Ego was not the father he always wished he had; he was actually a monster. Yondu had inclinations about Ego’s true motivation and kept Quill from falling into the same mindset as Ego. After Quill fights Ego long enough for the rest of the Guardians to escape their battle, it seems like Quill has no way out, until Yondu sacrifices himself to save Quill. Yondu’s choice was a touching moment, setting up Quill’s realization that Yondu was his true father – spiritually, at least. Taika Waititi’s installment in Thor’s journey was a breath of fresh air for the God of Thunder. After the doom and gloom of The Dark World, Ragnarok was a vibrant chapter full of humor and wit. Memorable moments are peppered throughout, but one stands tall. Thor crashes on the junk planet Sakaar and is taken captive by Valkyrie, who delivers him to the Grandmaster as a gladiatorial contender. His first opponent? None of than the Hulk. The duo battle it out, during which Loki’s reaction to seeing the Hulk – tainted by their last, violent encounter – really steals the show. Black Panther is a ground-breaking film with an impressive cast, and Michael B. Jordan’s character Erik Killmonger is already being called one of the best villains in the MCU. Whether he actually died from the result of his battle with Black Panther or not is up for debate, but the moment after their fight is what really stood out. Killmonger was a complicated person, who never really had a place in his homeland. As he lay dying from wounds incurred in his final battle with Black Panther, he speaks his last wish: to see the beauty of Wakanda. T’Challa takes him to a spot overlooking Wakanda’s stunning landscape, and even offers to save his cousin. Killmonger refuses, but their last interaction indicates the care T’Challa will bring to his role as king. Avengers: Infinity War hits theaters April 27, 2018!